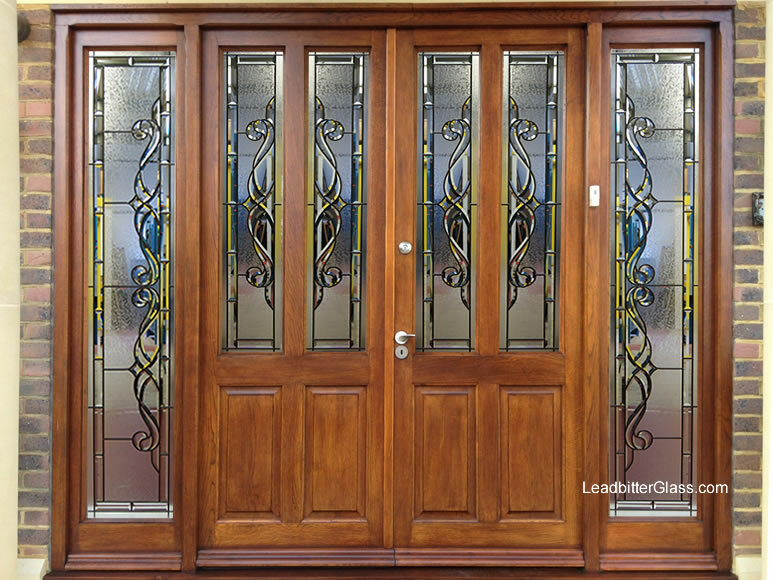 In August 2013 we created this beautiful door set for one of our clients’ large home in Staines near London. 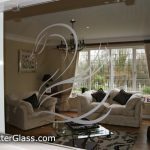 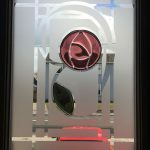 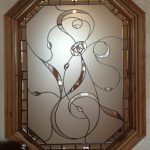 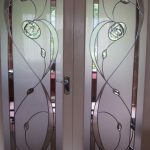 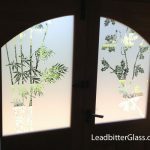 Our client Mrs Kandhari wanted to create the wow factor for the entrance to her executive home so we set about creating numerous different bevelled glass drawings. 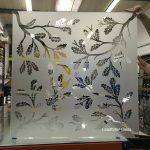 As soon as we came up with this design Mrs Kandhari knew this was the winner and we got to work creating the actual glass panels. 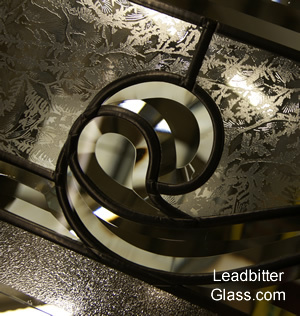 View the Client Page. 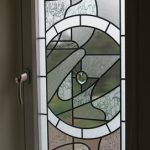 As you can see by the close up of the glass on the right we used many shaped bevelled glass pieces along with different textured sections to help keep a good privacy level but at the same time, aslo creating a stunning feature. 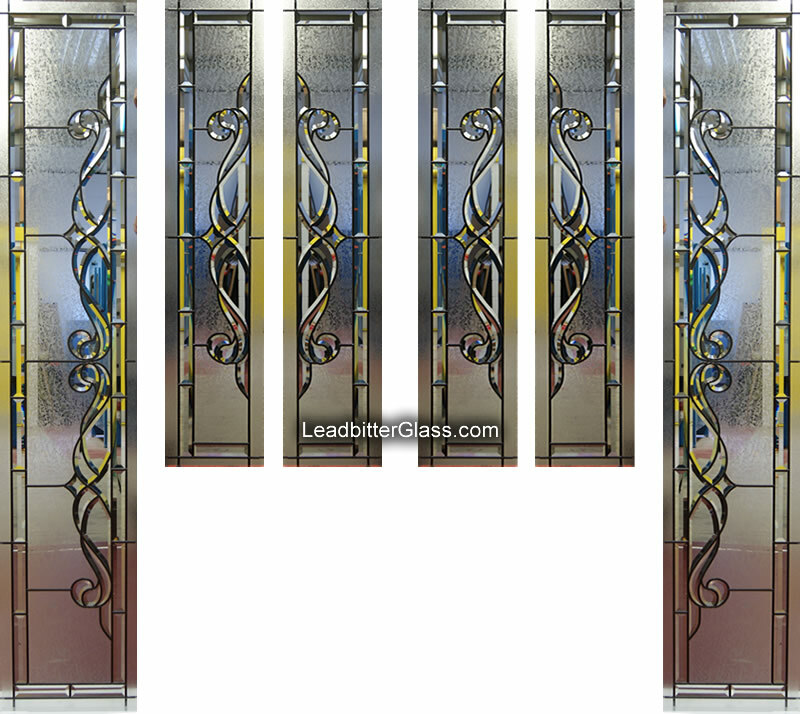 In the photo below you can see the 2 large panels to the left and right and these are the full height side panels for the entryway. 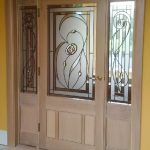 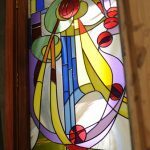 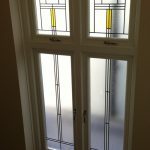 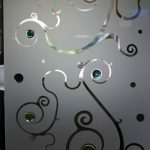 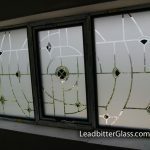 The 4 smaller panels in the centre make up 2 Victorian style split glazed doors.